Mobile Number Portability (携帯電話番号ポータビリティ―, keitai denwa bangou pootabiritii) is a system imposed by Japanese government legislation since late 2006. The system allows cellphone users to migrate between cellular service providers without changing their telephone number. Say you have a cellphone contract with Company A. But maybe you hate Company A passionately, or your new girlfriend has her cellphone with Company B. So, you want to change to Company B and take advantage of their great unlimited calling plan. 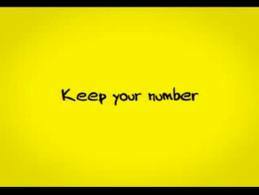 But, all your friends and coworkers already call you on your current phone number and it seems like it would be a huge hassle to have to tell everyone your new number. The MNP legislation gives you a right to keep your digits, even if you move to a new provider. It works by requesting an MNP Reservation Number (MNP予約番号, MNP yoyaku bangou) at your current provider. However, there are some restrictions as to when and where you can use MNP. [LINK]Check out my really convoluted story of getting an MNP number to get an idea of what is and isn't possible.